You can throw me in with Marco Arment when it comes to clothes shopping. It’s among the most boring of the necessary activities I find myself having to perform. I have a recurring fantasy where a fashion consultant fills and maintains my wardrobe for me. (For some reason this doesn’t extend to Uniqlo. Those Japanese designers have made the experience as frictionless and fun as IKEA has for furniture). Fortunately though, we have the phenomena of clothing sales. Suddently, much of the decision making process is taken care of, because the pool of avaiable choices is reduced. When Sketchers had their recent sale, I pulled out the shoes in my size from the pile of sale items, and when I found some, I ran with them. 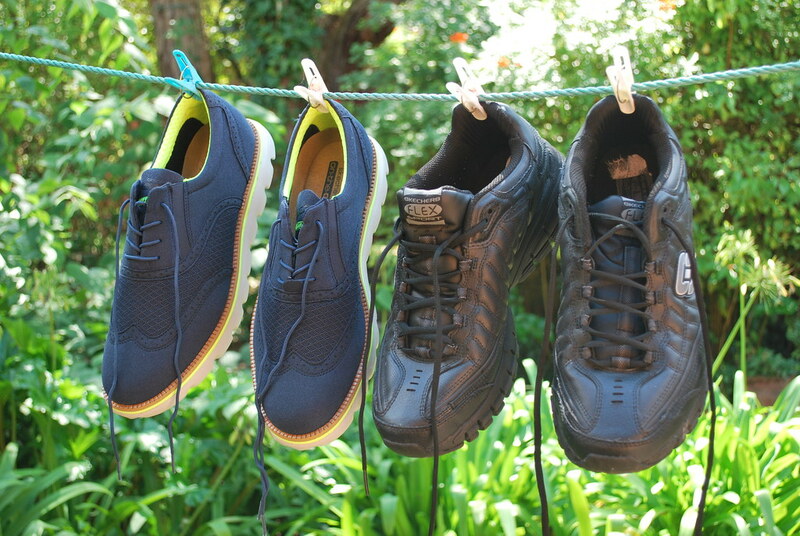 It’s always good to have a durable pair of black runners; they’re comfortable and easy to clean. I especially love the blue ones though, I haven’t had a funkier pair like that in a long time. Despite their appearance, they’re also surprisingly comfortable. So there you have it, Ruben talked about fashion. For the first time in nine years. Stay tuned for 2023 when I discuss slacks.